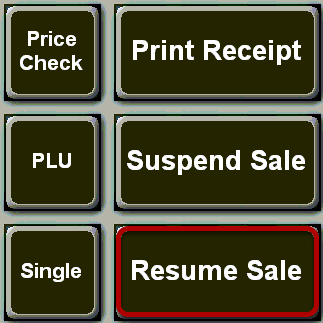 TravStar1 Point Of Sale SystemRegister Manual Basic Register FunctionsHow Do I Suspend and Resume a Transaction? 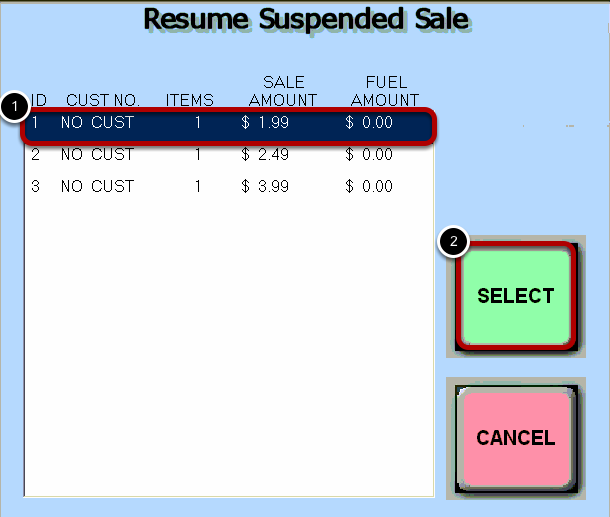 How Do I Suspend and Resume a Transaction? This lesson will teach you how to suspend a transaction to free up your register. You will also learn how you can resume a suspended transaction. If you have a Sale in Progress that you are not yet ready to tender, but you need to wait on other customers, you can place this transaction in a suspended state until you are able to finish it. Touch the "Suspend Sale" button. 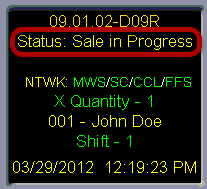 (1) The register Status has changed from Sale in Progress to Idle. 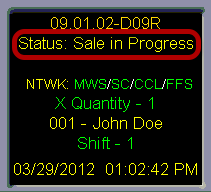 (2) The date and time have been replaced by Suspended Sale. 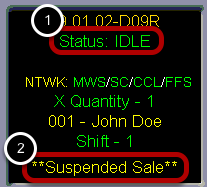 This indicates that you currently have one or more Suspended Sales. You can now perform other transactions. The transaction will remain suspended until you are ready to resume it. It is important to note that you will not be able close out your shift on the register if you have a suspended sale. 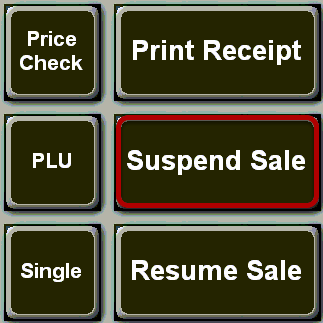 When you are ready to return to the suspended transaction touch the "Resume Sale" button. (1) Touch the transaction you want to resume. The transaction has now been returned to a Sale in Progress and is ready to be tendered. Prev: How Do I Check the Price of an Item? Next: How Do I Pay In To My Cash Drawer?